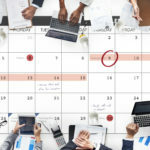 If you’re at an agency or an in-house marcom team, you’re probably cranking out multiple deliverables daily and when working at warp speed, it’s nice to have a few tools at your disposal to make sure those deliverables arrive polished and as error-free as possible. We have an exclusive RPRS Member Discount for the upcoming Think Outside the Bowl Business Strategy Conference happening in Durham on August 23! 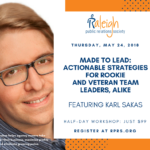 The Raleigh PR Society is pleased to host agency consultant Karl Sakas from Sakas & Company, for a half-day workshop designed for c-suite and executive-level professionals who manage teams both small and large. Karl helps PR, marketing, and creative agencies take control of their business In this hands-on workshop, he will more narrowly focus on the challenges faced by professionals charged with overseeing the efforts, development, and retention of company talent.